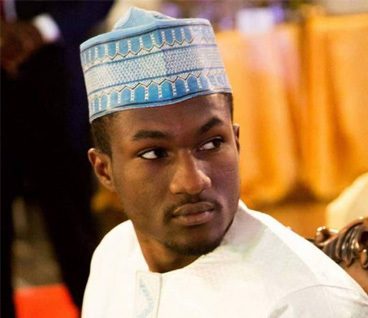 The health of Yusuf Buhari, the son of President Muhammadu Buhari, who was admitted at Cedarcrest Hospital, Abuja, on December 26, 2017 following injuries sustained in a motorcycle accident, has improved remarkably and he is ready to be discharged. This was revealed by the Presidency on Friday. According to Punch Metro, the Special Adviser to the President on Media and Publicity, Mr. Femi Adesina, disclosed this in a statement made available to journalists. Adesina said the news of Yusuf’s improved health and imminent discharge was contained in a statement dated January 12, 2018, by the Medical Director of the Hospital, Dr. Felix Ogedegbe. He was however not specific on the exact day Yusuf will be discharged. He also quoted the report as saying that there was also no truth in the report that Yusuf was involved in the accident alongside his friend. The doctor’s statement as released by the presidential spokesman read, “Mr. Yusuf Muhammadu Buhari, son of His Excellency President Buhari, was admitted into Cedarcrest Hospitals Abuja in the late hours of the 26th of December 2017, following injuries sustained as a rider of a motorcycle. Following initial stabilization, he was taken into intensive care. He underwent successful emergency surgical operations the following morning carried out by our team of neurosurgeons and orthopaedic surgeons. “We are also grateful to the Honorable Minister of Health, the Honorable Minister of State for Health, and the eminent advisory team of specialists assembled by the Honourable Minister of Health who supported us in the course of looking after Yusuf. We are grateful to all Nigerians who prayed for Yusuf, his family and his carers. His response to treatment so far is clear testimony to answered prayers.